Trish Ignacio, “TrishTheIsh” is a Filipino-American Personal Trainer & Influencer. Her love for fitness and the desire to empower people especially women has been the focal point of her training business. Trish speaks on health panels, runs Bootcamps all across the states, & has built an international online training program. The goal is to find balance all across the board :mind, body & spirit. When you love and take care of yourself, you are able to fully give & connect with others. In this episode, we chat with personal trainer, Trish Ignacio about the importance of feminism. In this interview, Trish talks about how her family has always encouraged to be a strong woman. Trish also talks about the importance of being standing strong and not playing victim. Audrey talks about the feeling of otherness as a kid vs now and why she had to nix sad hour. This episode, Brown Girls Rising Episode 30, can be found at BrownGirlsRising.com or on iTunes. In this episode, we chat with Gentle Riot founder, Estefany Arias about women of color in fashion. In this interview, Estefany talks about being a feminist and a woman of color in a profession that isn’t always cognizant of her beliefs. Audrey talks about how her dog saved her from depression and growing up in Paramount. This episode, Brown Girls Rising Episode 29, can be found at BrownGirlsRising.com or on iTunes. atalie Torres-Haddad an Award Winning Author of the International Latino Book Awards of 2016, for her published book Financially Savvy in 20 minutes. The first Salvadorian American woman to publish a book dealing with student debt. A workshop facilitator, a real estate investor and brand collaborator. A first generation graduate and part of the 4% of Latinos in the US with a Master's degree MPA from CSUN and from CSULB, Finance & International Business. Born in El Salvador, raised in Inglewood she was surrounded by those facing permanent debt. Determined to be the exception, by age 24 bought her first rental property and several after. She is most known for founding LA’s Prom Closet helped over 1,000 high school girls. Her activities have been covered in Huffington Post, LA Times, Fox 11, Univision, KCAL9, La Opinion and Toastmasters Magazine. Has travel to over 30 countries, lived in Spain & France and resides in Huntington Park with husband and 2 dogs. In this episode, we chat with Financially Savvy Latina Founder and Author, Natalie Torres about money, money, money. In this interview, Natalie talks about dealing with debt and raising your credit score. Natalie also talks about how getting your finances together can change the people you surround yourself with. Audrey talks about her own debt, her credit score obsession, and how relationships have changed how she deals with money. This episode, Brown Girls Rising Episode 28, can be found at BrownGirlsRising.com or on iTunes. Imani Quinn founded and launched SWAJE June 25, 2016 and began building the company a year prior. Imani is a creative who has taught dance through the Los Angeles school district for the past 4 years before leaving to pursue her company full-time. SWAJE is a multicultural lifestyle brand that is focused on creating multicultural awareness through textile design as well as female empowerment through Goddess’ That Give; a platform of SWAJE meant to give back by mentoring young girls from underprivileged communities. Imani is an artist and social activist first and foremost who uses SWAJE as well as her dance workshops and Women Soul Circles as a tool in building community, engaging in social activism and elevating the consciousness of our community at large. In this episode, we chat with Swaje Founder, Imani Quinn talks about growing up in a primarily white school. In this interview, Imani retells her first racist experience and how she dealt with it. Imani also talks about the importance of self awareness and why she believes many people are born with a sense of privilege, not just white people. Audrey talks about learning to trust the process, religion, and Master P’s “Them Jeans”. This episode, Brown Girls Rising Episode 26, can be found at BrownGirlsRising.com or on iTunes. 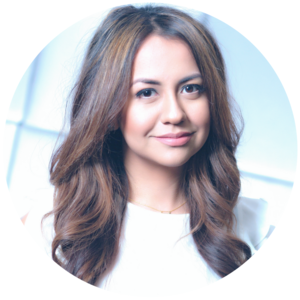 Lainney Dizon oversees all marketing initiatives for Dizon Dreams, a creative agency specializing in social media marketing for TV and music. Currently, she assists with the marketing initiatives of Pilgrim Studios, the world's most diverse television production company. She is also the editor-in-chief of LA Pulse Magazine, an online platform dedicated to LA's emerging creative artists. When she's not making marketing and editorial magic, she's hosting The Drop Party, a monthly 2000's HipHop dance party in DTLA. In this episode, we chat with The Drop and Dizon Dreams Founder, Lainney Dizon talks about growing up as a brown girl. In this interview, Lainney discusses dealing with other people’s perception, scrutiny, and expectation all while jamming to hip hop. Lainney also talks about the importance of being authentic in everything she does and including that in her social media persona. Audrey talks about her run in with the illuminati, dealing with haters, and her undying love for Oprah, Tupac, and Lauryn Hill. Geminelle, San Diego native, has been pursuing music at a professional level since the age of 13. In the beginning of her career she was a member of the girl group MISS. While she enjoyed her time within the group, she soon began to pursue her solo career.After graduating high school, Geminelle decided to take a break from music to seek a degree in education. Her passion for helping others and being a vessel for change made attaining her M.Ed a major achievement. It was at this time that she realized her gift as an educator and an artist are intertwined: that both music and education can have an impact in an individual’s life. With the help of her friends, family and fans she was able to say farewell to San Diego as she embarked on her “Follow the Music Campaign”. As she settles into New York, a population full of promise, she is continuing to develop her craft in a city known for sharpening the skills of budding artists. In this episode, we chat with singer/songwriter, Geminelle Rollins about growing up with mixed heritage. She talks about how she came into her own and learned how to accept every part of her culture. Geminelle goes on to talk about how she doesn’t know if she labels herself as a feminist but, she is all about rooting for women. Audrey talks about getting to know people through your network and how being instagram thirsty has helped her on her come up. This episode, Brown Girls Rising Episode 25, can be found at BrownGirlsRising.com, SoundCloud, or on iTunes. Rediate is a first-generation Ethiopian-American and founder of Ethiopian Diaspora Fellowship and co-founder of Integrate Africa. Rediate started both organizations to build bridges between cultures, people, and ideas. She has 10+ years of experience consulting and working for social action organizations including the Clinton Initiative, America Reads Program, World Vision Ethiopia as a journalist and then Selam Children’s Village. Rediate discovered her passion for social impact media while working as an international Field Producer for Girl Rising. She received her B.A in Intercultural Communications at Arizona State University and her Master of Communication Management degree at University of Southern California. In this episode, we chat with Ethiopian Diaspora Fellowship, founder Rediate Tekeste about the importance of knowing your culture. As an Ethiopian-American, she talks about why it’s not a weakness to be multicultural. Rediate goes on to talk about tradition and story-telling and why that’s an avid part of her business. Audrey talks about her interracial, interfaith home and why she thinks that’s so important, especially now, in Trump Nation. This episode, Brown Girls Rising Episode 24, can be found at BrownGirlsRising.com, SoundCloud, or on iTunes. Ashlee Lena Turner, founder of Beans & Bars, a hip hop coffee shop, has married two of her greatest interests and passions into a unique perspective of what the coffee industry is missing. In a city where urban coffee shops can be found on almost every corner, Ashlee Lena has anxiously watched as coffee shops have managed to become mere replicas of one another. Various brews of coffee are plentiful but an urban cultural experience for the coffee and ambience connoisseur is absent. It has since been her dream to create Beans & Bars, a coffee shop that serves a variety of robust blends of coffee alongside an urban, tranquil, hiphop cultural experience. In this episode, we chat with Beans & Bars, Founder, Ashlee Turner about the importance of hip hop. In this interview, Ashlee talks about making her passion for coffee and music and making that her profession. Ashlee also talks about the effects of the election and how she’s still reeling from it. Audrey talks about her love for hip hop music and how she wishes all her Instagram captions started with Drake lyric. This episode, Brown Girls Rising Episode 23, can be found at BrownGirlsRising.com, SoundCloud, or on iTunes. Patty is the co-founder of Lil' Libros, the Senior Producer at "On Air With Ryan Seacrest," and the creator of MALA by Patty Rodriguez. In this episode, we chat with Lil Libros Co Founder, Patty Rodriguez about the importance of getting it on your own. In this interview, Patty talks about how google is basically her BFF and how she used it to persuade MAC to create the Selena collection. Patty goes on to talk about how she deals with fear and how that motivates her to get what she wants. Audrey talks about being of service to your community, what that looks like, and why it’s so important. This episode, Brown Girls Rising Episode 21, can be found at BrownGirlsRising.com, SoundCloud, or on iTunes. Tiffany Dejillo was raised East San Jose, CA, a diverse working-class suburb in the Silicon Valley. As a Gen-Xer from a close-knit family of Filipino immigrants, she grew up with Riot Grrrl ideals, gangsta rap, and Bay Area pride. Now, Tiffany is a Reality TV veteran with over 15 years of production and casting experience, and cites the joy of changing people's lives for the better as her personal mission. In this episode, we chat with Reality TV Casting Director, Tiffany Dejillo about breaking through the glass ceiling to get what you deserve. In this interview, Tiffany talks about how she didn’t suffer from “otherness” until she got older. Tiffany goes on to talk about being called a “feminazi” and how that offended her but, being labeled as a feminist never has. Audrey talks about the importance of representation of brown girls on tv and how people use that to identify themselves and others. This episode, Brown Girls Rising Episode 20, can be found at BrownGirlsRising.com, SoundCloud, or on iTunes. Leslie Antonoff better known as Hautemommie – a content creator, television personality, entrepreneur, and style influencer. You’ve seen her face on TV, as one half of “Butter and Brown” and the mini staple series “Big Screen, Small Bites” on Aspire Network. In this episode, we chat with HauteMommie and Sweet Knowledge Clothing Company Founder, Leslie Antonoff about raising biracial children. In this interview, Leslie talks about other accepting her interracial relationship and what that means to her. Leslie also talks about her dislike for labels and how she had to come to turns with being labeled as a feminist. Audrey talks about her own interracial, interfaith family and professed her love for the Black and Yellow remix - Black and Jewish. This episode, Brown Girls Rising Episode 19, can be found at BrownGirlsRising.com or on iTunes. Eileen Rosete is a marriage and family therapist (MSMFT), yoga instructor, and mama. She added the role of entrepreneur to her list when she launched Our Sacred Women in 2016 - a social enterprise dedicated to offering specialty gifts that help women feel seen, valued, and honored. She is passionate about helping people connect meaningfully with themselves and others, and in doing so, cultivate healing moments of witnessing and being witnessed. In this episode, we chat with Founder of Our Sacred Women, Eileen Rosete about the importance of what we are bringing to the world. Eileen talks about how sometimes you find solace in helping others. Also, Eileen talks about what inspired her to start a business that empowers women but, also reflects the values of the culture she was raised in. Audrey talks about how yoga helped her in a time of need and how she started Worthy Women from a place of healing. This episode, Brown Girls Rising Episode 18, can be found at BrownGirlsRising.com or on iTunes. 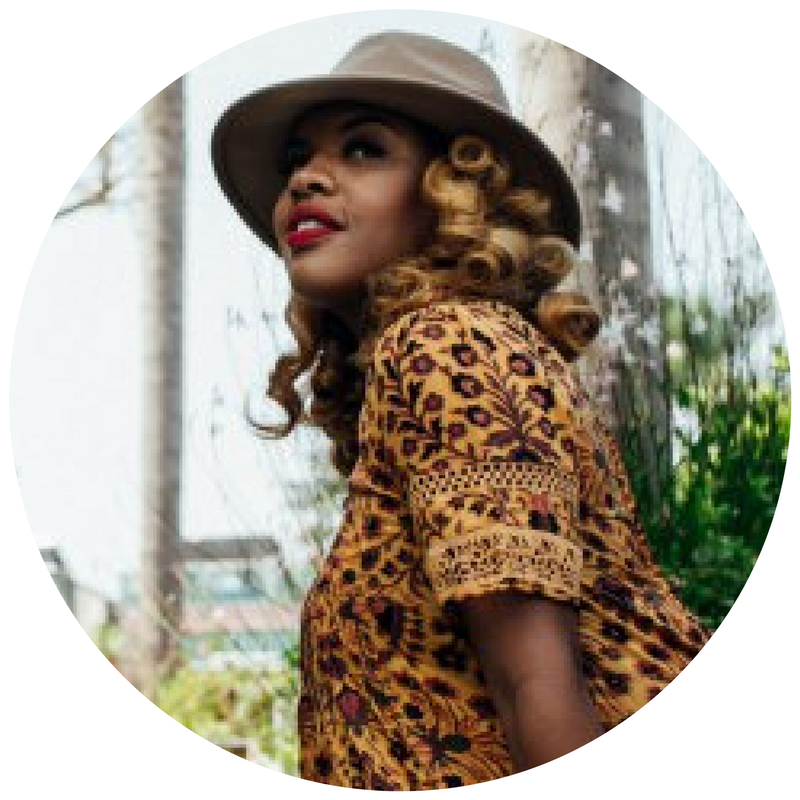 Joy Riley, as the Founder of Love Jays + Married Millennials Podcast, loves love. Although she is passionate about relationships, she is most interested in the relationship we all share with ourselves. When she's not asking any and everybody what makes their soul tick, this former dancer can often be found on her sofa reading a good book with her feet propped up on her husband's lap, while snuggling with their two dogs. In this episode, we chat with Married Millennials Podcast Host, Joy Riley about the importance of relationships. Joy talks about how the relationship you have with yourself is most important and a foundation for what you accept in other relationships. Joy also sheds light on her experience with white guilt and her feelings on diversity. Audrey talks about how she believes the relationship you have with other people is the direct result of the relationship you have with yourself and why it’s so important to remedy that relationship first. This episode, Brown Girls Rising Episode 17, can be found at BrownGirlsRising.com or on iTunes. Renata Simril is President and CEO of the LA84 Foundation (www.LA84.org). Formed in 1985, originally as the Amateur Athletic Foundation, the LA84 Foundation is a legacy of the 1984 Los Angeles Olympic Summer Games. Ms. Simril began her career in the U.S. Army as a Military. Ms. Simril is an accomplished civic and private sector trailblazer with more than 25 years of diversified experience with a commitment to leadership and service. She most recently served as Senior Vice President and Chief of Staff to the Publisher of the Los Angeles Times, where she oversaw staff operations and special projects. 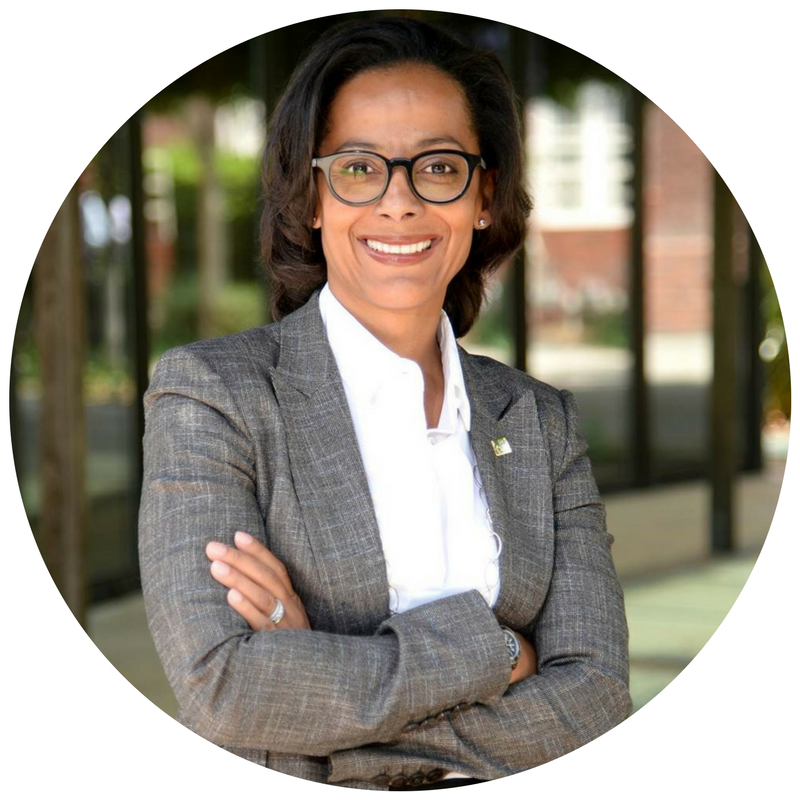 Her earlier career included three seasons with the Los Angeles Dodgers, where she served as Senior Vice President of External Affairs overseeing the restoration of the Dodgers brand and the Dodgers Foundation; and over a decade in real estate development with Jones Lang LaSalle, Forest City Development and LCOR, Inc. In this episode, we chat with LA84’s President, Renata Simril about how she got her start and has climbed the ladder ever since. She begins talking about how in order to get her start, she had to fight for education and opportunities. Renata also talks about her relationship with the word feminist and how that contributes to her business lifestyle now. Audrey talks about how she was the ultimate finesser when it came to dodging P.E. class and how in hindsight she believes that shaped her to be who she is today. This episode, Brown Girls Rising Episode 16, can be found at BrownGirlsRising.com or on iTunes. As Executive Producer and a foundational member of the Do LaB community, Monica Fernandez oversees Lightning In A Bottle's production, while curating a host of the event's creative programming and media. Proud to be a woman in a male dominated industry, she employs an empathetic management style known as “compassionate leadership”, which is instrumental in understanding how individuals think, feel and get motivated. She sees this as an invaluable tool in retaining and grooming talent so that each of her team members have the opportunity to reach their highest potential both in the office and at home. In this episode, we chat with Do LaB’s Executive Producer, Monica Fernandez about how she made a way for herself in a male dominated workplace. She also, goes on to talk about how they advice she gave herself back then probably wouldn’t be the advice she’d give young girls today. Monica also details one of her experiences with racism and otherness, she goes on to say how that has changed how she shows up in the workplace today. Audrey and Yvette talk about their experiences with raves (or lack thereof), how they deal with feminism in the workplace, and growing up with otherness. This episode, Brown Girls Rising Episode 15, can be found at BrownGirlsRising.com or on iTunes. Jaia Thomas is a sports and entertainment attorney. She obtained her Bachelor of Arts degree from Colgate University and her Juris Doctor from The George Washington University Law School. She primarily assists clients with transactional and intellectual property matters. In addition to her legal experience, she is an adjunct professor at University of California, Los Angeles (UCLA). Prior to her appointment at UCLA, Jaia taught and guest lectured at American University, Georgetown University, Vassar College and Carnegie Mellon University. Jaia has been cited as a legal expert in such publications as The New York Times and USA Today and has had several scholarly works published in the American Bar Association, National Bar Association and various journals. A native of Cincinnati, Ohio, Jaia volunteers for several organizations such as the California African American Museum and is the founder of a free legal clinic in her hometown. In this episode, we chat with Sports + Entertainment lawyer, Jaia Thomas about talks about her surprising lack of having to deal with discrimination. She also, goes on to talk about how she encourages other young women to follow in her footsteps to change the lack of diversity in the academia world. Jaia also discusses her relationship with feminism. She talks about how her definition of feminism differs from the “white” feminism and why that is. Audrey and Yvette talk about how Brown Girls Rising was made for the women who couldn’t identify with White Feminism or Black Girl magic and why that’s important to them. This episode, Brown Girls Rising Episode 11, can be found at BrownGirlsRising.com or on iTunes. After baking cupcakes as an escape to a dull desk job, Karina Jimenez decided to turn her attention to a more creatively fulfilling side business. She searched within, turning to her own knowledge and found what she had in her all along, a love for her Mexican culture and the food she had grown up with. As a self-professed sweet tooth and foodie, it only made sense to Karina to fuse dessert with culture, and thus Viva Los Cupcakes was born. Since its official beginning in 2012, Viva Los Cupcakes has been baking Mexican inspired cupcakes to the delight of Los Angeles and neighboring cities. With award winning flavors like “Tamal con Mole”, “Conchita”, “Churro con Cajeta”, “Horchata”, and the wild “Street Elote”, “Mangoneada”, and “Chile En Nogada” to name a few, Viva Los Cupcakes has made a name for itself presenting a classic American dessert with a modern Mexican twist. After 4 years of cupcake catering and being on the road, Viva Los Cupcakes is in preparations to take the next step of moving into its own flagship bakery. In this episode, we chat with VivaLosCupcakes Founder, Karina Jimenez about her move from Mexico. In this interview, Karina talks about how she brought her Mexican upbringing into her cupcake business today. Karina also discusses how she was a feminist before she even knew about the label and how being one is still prevalent when it comes to her business. Audrey and Yvette talk about the importance of food in their households growing up, the different traditions they were raised around, and the importance of gender roles. Jessica Resendiz was born in Queretaro, Mexico and immigrated to United States when she was only 8 months old. In 2011 she graduated from FIDM with a degree in Fashion Product Development. In late 2011 Raggedy Tiff was born, it started as Headpieces and jewelry but throughout the years Raggedy Tiff has been growing and expanding specializing in Apparel ,Accessories, Home Decor, Stationary. All of which is dedicated to Jessica's Mexicana roots, culture and child hood memories. In this episode, we chat with Raggedy Tiff Founder, Jessica Resendiz about discrimination. In this interview, Jessica talks about how she didn’t have to deal with discrimination until recently. She mentions what it’s like for her to raise a daughter now, in Trump Nation. Jessica also talks about how her daughter and fiancee encouraged her to make the jump from her 9 to 5 to her passion project. Audrey and Yvette talk about their undying love for Selena and how they stumbled into creating the Brown Girls Rising podcast. Marina Preciado is 17 years old. She uses social media to inform, educate, and empower people — especially youth — about current events and social issues. As a proud Chicana and lover of humanity, she hopes to pursue a career in the education or judicial system in order to educate others and promote diversity. In this episode, we chat with MTV contributor, Marina Preciado about being socially aware at a young age. In this interview, Marina talks about coming into her own and accepting the “brown girl” that she is. Marina also talks about her current experience as a brown girl at primarily white high school. She replays how her and her friends organized a school walk out in light of the election. Audrey and Yvette compare and relive their 2000 high school experience to Marina’s current situation. To keep up with Marina, head to: Twitter, MTV, Latinx4Change.